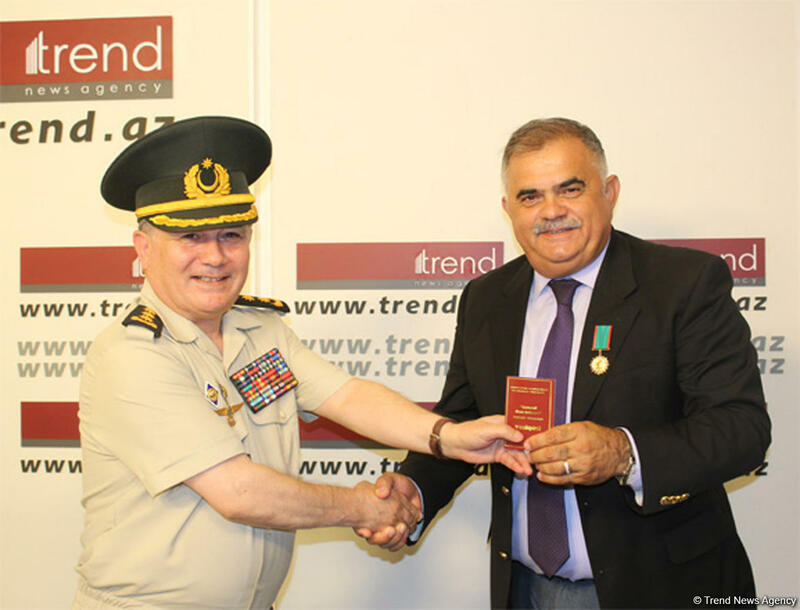 A meeting with representatives of the Organization of Veterans of War, Labor and Armed Forces has been held at Trend international news agency. The sides exchanged views on mutual cooperation. The exceptional merits of Trend in delivering Azerbaijan's realities and the truth about Nagorno Karabakh conflict to the world community, were emphasized during the meeting. 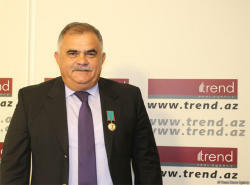 Then, Deputy General Director of Trend INA Arzu Nagiyev was awarded a medal established by the Presidium of the Organization of Veterans of War, Labor and Armed Forces. 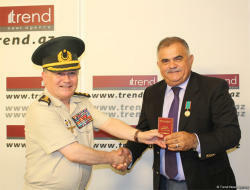 The medal was presented by the Deputy Chairman of the Organization, the Reserve Colonel Jalil Khalilov.